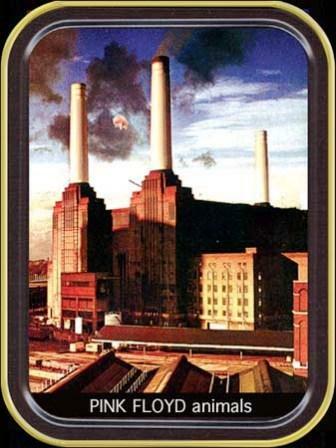 This large Pink Floyd stash tin has the Animals album cover image. Approximate size - 4 3/8 x 3 3/4 x 1 1/8. Officially licensed Pink Floyd merchandise. Holds your money, ID, and cigarettes, or your medical herbs.